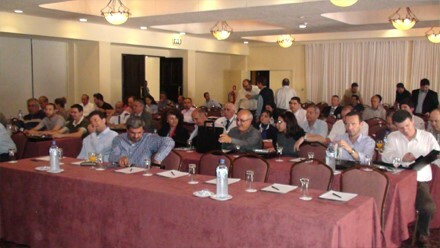 On the 5th May, FirePro Systems and FirePro Cyprus jointly hosted a successful symposium/seminar with more than 70 attendees, for the benefit of electro - mechanical consultants, major insurance companies, corporate clients, government services and other key collaborators in Cyprus. 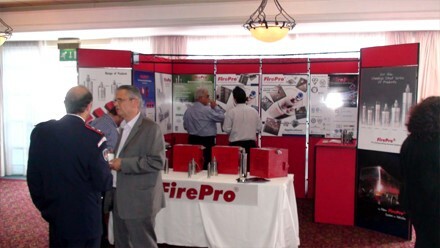 The purpose of the symposium/seminar was the reinforcement of people’s awareness of the FirePro fire extinguishing systems and their advantages relative to competitors’ products. In particular, great emphasis was given to the Certifications, Listings and Approvals gained worldwide. The Managing Director of the FirePro Group Dr A. Avgousti welcomed the participants and the main speaker was Dr G.Gianfilippi de Parenti, Technical Division Director of the Group. The venue was the Hilton Park Nicosia where an exhibition-stand was also set-up displaying the products and other accessories. The event concluded with a luncheon offered in a private room at the venue where the hosts and guests had the opportunity to exchange more views and ideas on a more informal basis.